Please find your personal Angel Blessings Card displayed above. To draw a new angel card, simply reload the page. Please note: this free angel card reading displays only 6 of the 44 Angel Blessings Cards. To buy the entire deck of Kimberly Marooney’s beautiful cards, please visit the link below. Product Information: “Angels are messengers of healing, love, and prosperity. This deluxe book and card gift set enables you to have a stronger and more prosperous connection with the angelic kingdom and to call on heavenly assistance in times of struggle. 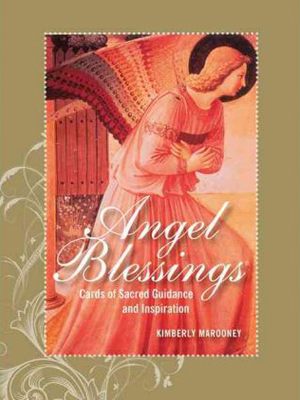 Buy Kimberly Marooney’s Angel Blessings Cards today and offer free angel card readings to your loved ones!